Teaser app offers a taste of the future! 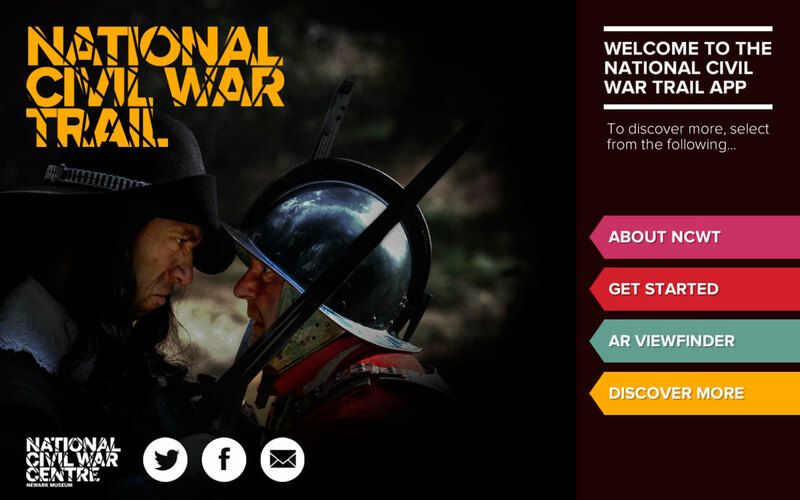 A British Civil War blockbuster is coming to small screens soon – and you can get a brilliant preview of what’s in store! The £300,000 National Civil War Trail app is being launched in April to tell the riveting story of Newark’s fate when King and Parliament clashed 350 years ago. Cutting edge augmented reality, authentic locations and lavishly filmed costumed scenes combine to tell a tale of death and glory on smart devices. But before then you can sample a wonderful trailer app featuring an evocative sequence giving a taste of what to expect in the full blown version. 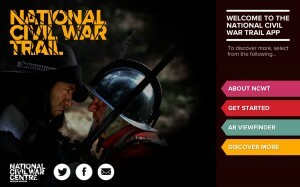 The fully featured app’s unveiling will also mark the opening of the £5.4m National Civil War Centre in Newark – the first of its kind anywhere in the UK.Free wi-fi across the town will allow visitors to explore some of the nation’s best preserved Civil War sites and hear from those who fought in the tremendous conflicts.